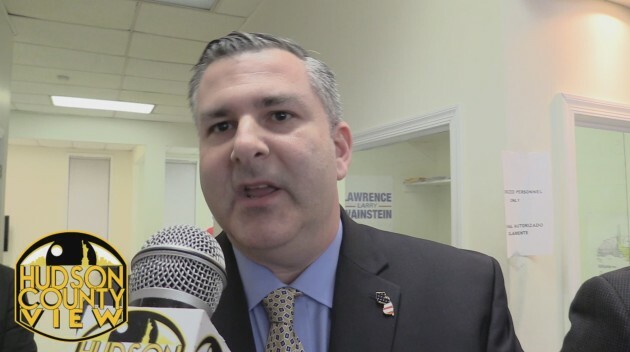 Despite hosting competing fundraisers last night, Hoboken Councilmen Mike DeFusco and Ravi Bhalla say all is well on the city council as a pivotal November mayoral election looms. 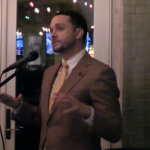 1st Ward Councilman Mike DeFusco, a rumored mayoral candidate, packed Cadillac Cantina with a diverse group of supporters – including Mayor Dawn Zimmer and Assembly colleagues Raj Mukherji and Annette Chaparro (both D-33). 4th Ward Councilman Ruben Ramos introduced DeFusco to the room before one of the council’s freshest faces thanked everyone for their continued support. “When Ruben was rolling down the list of everybody that’s in this room tonight, these are people that, I moved to town and these were folks I looked up to,” he began. DeFusco originally planned on having Jersey City Mayor Steven Fulop as his special guest of the evening, but Fulop had to council as the timing conflicted with his first 2017 State of the City address. 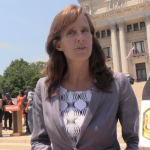 Speaking one-on-one with Hudson County View, DeFusco said he looks forward to continuing to work with Zimmer, but stopped short of endorsing her re-election campaign. “There’s a lot of conversations that need to go on in terms of issues that are facing the 1st Ward. I think the mayor’s done a good job advocating for her platform items,” he explained. 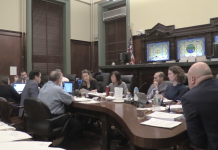 When asked how he and Councilman-at-Large Ravi Bhalla scheduled events on the same night at the same time, DeFusco was extremely complimentary of Bhalla and attributed the situation to incredibly bad luck. 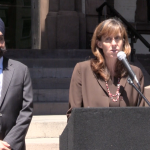 Over at Maxwell’s Place, Bhalla, who is seeking re-election on Zimmer’s ticket in November, praised the administration’s ability to succeed by working together. Bhalla also attributed the dueling fundraisers as just a case of unforeseen misfortune, adding that he looks forward to working with DeFusco and would support him if he decides to seek re-election in 2019. 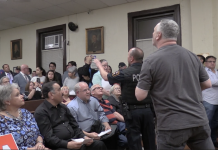 Those who attended both events included Zimmer, Chaparro, former state Senate Majority Leader Bernie Kenny, Ward 2 Councilwoman Tiffanie Fisher, Hoboken Committeeman Phil Cohen and Hoboken Housing Authority Commissioner Hovie Forman. 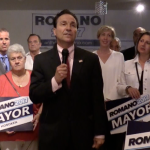 Dignitaries that only attended DeFusco’s event included Mukherji, Ramos, Romano, former North Hudson Sewerage Authority Chair Frank Raia, ex-Councilman Tony Soares, former Assemblyman Carmelo Garcia, Jersey City LGBTQ activist Michael Billy and Elysian Charter School Board President Eduardo Gonzalez. 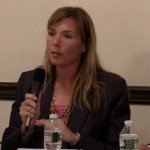 Finally, officials that only attended Bhalla’s event included Council members Peter Cunningham and Jen Giattino, North Hudson Sewerage Authority Commissioners Brian Assadourian and Kurt Gardiner, former HHA Chair Jake Stuiver and Zimmer’s former chief of staff and current Phil Murphy operative Daniel Bryan. 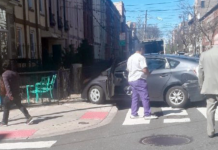 The only thing the former State Senator ever did for Hoboken was pile up contracts for his law firm. 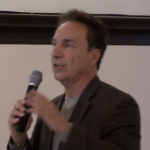 If you really want to do a story, Hudson County View, why don’t you find out how many public, no bid contracts he has in Hoboken and throughout Hudson County and then search the ELEC reports in those towns and see how much he has contributed to local campaigns. I’m tired of the so called reformers who turn a blind eye to the coincidence.